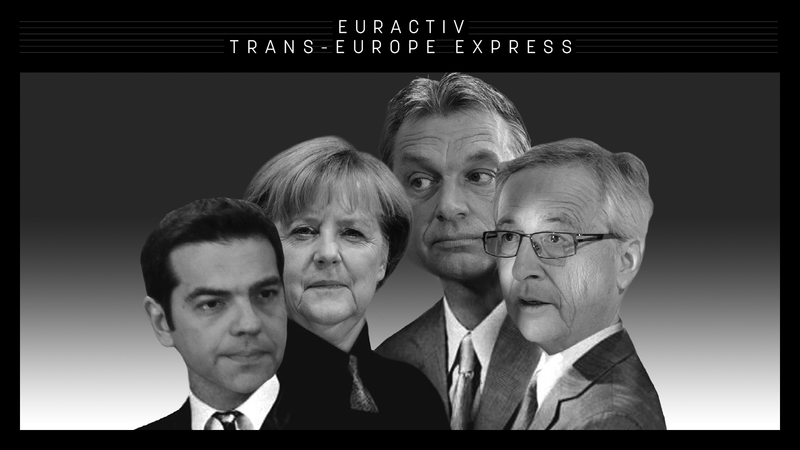 Sent out every Friday at noon, Trans-Europe Express gives you an insider's view of the most important coverage from across the EURACTIV media network, its media partners and much more. Call it the Merkel tack. “For me, personally, marriage is a man and a woman living together. That is my concept, but I support civil partnerships,” she told YouTube vlogger Le Floid, AKA Florian Mundt, in July 2014. Given the number of member states that had legalised gay marriage by that point, Merkel’s qualified response was received with a fair amount of disappointment at the time. Even the UK, under Cameron, had come through. It would take until this week, when, during a televised interview with German women’s magazine Brigitte, Merkel came out in favor of gay marriage. Most German parties were in favour of it. Why not her own CDU party, the chancellor was asked. Merkel chose her words carefully. Saying she would rather push the discussion in the “direction of a question of conscience, instead of pushing anything through with a majority resolution”, her change in stance took many by surprise. Coming during an election season, this was the one topic which, given the extent to which Merkel had put her conservative credentials on line during the refugee crisis, no one saw coming. With civil partnerships already on the books, gay marriage wasn’t exactly pressing, either. That is, until the appointment of 38 year-old Alice Weidel as the chief candidate of Germany’s growing far-right Alternative für Deutschland party, in April. An openly lesbian mother of two, partnered with a Swiss TV producer, Weidel’s appointment so far has been the most noteworthy event of Germany’s election campaign. Replacing Frauke Petry, who lost a bitter fight to tone down the AfD’s neo-Nazi rhetoric, the ex-Goldman Sachs banker emerged as a compromise candidate, more of a fiscal than an ethnic rightist, though equally blood and soil, when questioned. How Alternative für Deutschland will live with Weidel over the long term is of course subject to question. Still, despite internal fighting, the party is now ensconced in 12 out of 16 of Germany’s state legislatures, and is expected to enter the Bundestag this fall. This would make the AfD the growth party this electoral season. A queer candidate would only broaden its appeal and constitute a sort of ‘pinkwashing’, the term often invoked to describe populist support for queer rights, in the ‘fight’ with Islam. Considering Merkel’s own progressive inclinations, which came fully to the fore with her decision to admit a million plus Muslim refugees over the last two years, to take on the queer marriage issue, makes obvious sense. Having put the refugee issue to bed, at least for now, by getting tougher on immigration and the burka, the next logical thing would be to deny Germany’s far right on the issue of gay rights. *Germany’s parliament legalised gay marriage as this newsletter went to press. Merkel ended up voting against it. If the EU doesn’t finance, Moscow will. If the Serbian government does not take the necessary steps, the debts of local governments, which currently reach 4% of GDP, will sink public finances, the Fiscal Council has warned. EURACTIV.rs reports. Belgrade hearts Brussels. Serbia’s first female prime minister pledged on Wednesday to reform education and push for the digitalisation of state administration to take the country closer to European Union membership. Help them go nuclear. In the Western Balkans, air pollution can be a fatal problem, made worse by some of those countries’ energy policies. Ioana Ciuta sheds light on the region’s developing crisis, which is claiming lives at an alarming rate. The weed must have been good. 50,000 Belgians, Germans and Dutch formed a cross-border 90 km-long human chain Sunday to protest the controversial Tihange nuclear plant. Micro-cracks were recently discovered in one of the facility’s reactors. What have the Romans done for us? Only 1/3rd of the European Union’s population knows the positive effect that the bloc’s funds have on them. For example, Czechs have received hundreds of billions of crowns since the country joined the Union, but only 33% view EU membership as positive. Let’s get digital. The Czech Republic is one of the EU leaders in e-commerce. However, it is one of the worst in e-government. For example, one of the ministries uses 125 mutually unconnected databases. SAP, there’s an opportunity here. Send them call centres. The European Commission is working on an initiative to support coal mining regions during the transition towards a low-emission economy. EURACTIV Czech Republic reports on the Brussels-assisted transition. Rasmussen means Trump in Danish. The world has changed and there is a long list of things that Europe should do to protect itself. First, we have to increase defence spending, Anders Fogh Rasmussen told EURACTIV Czech Republic. Anti-imperialism for dummies. The Council of Europe’s parliamentary assembly has cleared the path for the impeachment of its president, Pedro Agramunt, who has courted controversy by visiting Syria and meeting Assad. Der Tagesspiegel reports. Clueless about populism. The European Commission is threatening Poland with financial penalties for refusing to take in refugees. But that approach misses the bigger picture, writes Bartosz Brzeziński. And they’ll still vote for Beppe Grillo. The Commission’s approval of a €17 billion aid package for an orderly wind-down of Italy’s Veneto Banca and Banca Popolare di Vicenza has sparked doubts about the strict application of banking resolution rules.